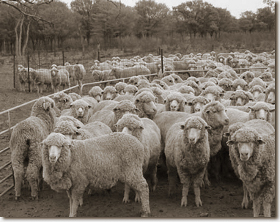 The Pastoralists’ Association of West Darling is an agri-political lobby organization looking after the special interest of its wool, sheep cattle and goat producing members living in the pastoral regions of the Western Division New South Wales. Established in 1907, the P.A.W.D. became a Union of Pastoral Employers, and was registered as such under the NSW Industrial Arbitration Act on 5 September 1923 and under the Commonwealth Conciliation and Arbitration Act on October 29, 1926. The Association will be holding its centenary in 2007. At this meeting it was resolved: “That the Western District of New South Wales form an association to be called the Pastoralists’ Association of West Darling. Previous to this, pastoralists in the area were members of the Pastoralists’ Union of South Australia, which was formed on September 9, 1890 and at an extraordinary meeting on 13 April 1892 the name was changed to the Pastoralists’ Association of South Australia and West Darling. The P.A.W.D. initiated the first meeting of the Western Division Conference in 1927. This body concerns itself with matters regarding the operation and governing of the Western Division of NSW and is made up of representatives from PAWD, NSW Farmers and Western Division Rural Lands Protection Boards. In 1957 the P.A.W.D. instigated the re-organizing of the Wild Dog Destruction Board in the format that it operates today. The Board that manages the maintenance of the dog proof fence is made up of pastoralists elected from various Western Division areas. 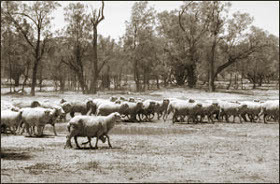 From 1960 the PAWD has been a member of the federal body of the Australian Woolgrowers’ and Graziers Association and entitled to one representative on the council. A Past President of the PAWD, Mr K.C. Connors, MBE was elected as Vice-President to that body in 1973. With the Formation of the National Farmers Federation (NFF) in 1979 as a federal umbrella organization for all state rural organizations the PAWD did not have sufficient numbers to have direct representation with the NFF. An association was formed with the newly formed United Farmers and Stockowners of South Australia, now the South Australian Farmers Federation (SAFF) thus giving the PAWD an avenue to the NFF on federal matters. The discussion was made in 2008 that the reason for the association with SAFF no longer existed due to SAFF withdrawing its membership of the NFF hence this association with SAFF was suspended. 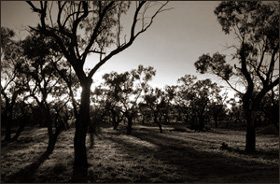 The Pastoralists’ Association of West Darling has an alliance with the Western Division Council of NSW Farmers Association in relation to the Western Lands Act and Kangaroo Management the two associations have a continuing dialogue on common issues pertaining to the Western Division of NSW.